Check out Tobi's Evening Star Rhinestone Earrings You're the star in these celestial gold tone earrings. 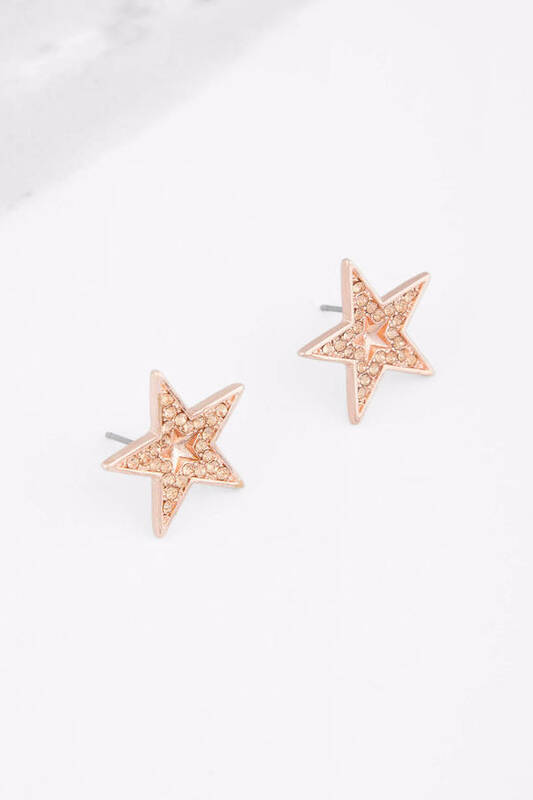 The Gold Evening Star Rhinestone Earrings come in a five pointed star shape with rhinestone embellishment for added bling. 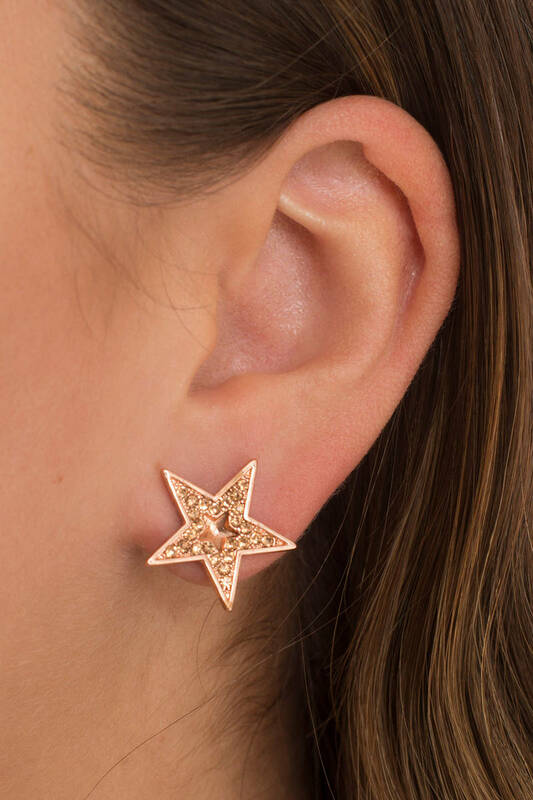 And, no, you really don't have to save these star studs for evening. You're the star in these celestial gold tone earrings. The Gold Evening Star Rhinestone Earrings come in a five pointed star shape with rhinestone embellishment for added bling. And, no, you really don't have to save these star studs for evening.